Just because a car has four doors doesn't mean it has to be bland, which is exactly the thinking behind the 2013 Dodge Charger. Expressive styling and cutting-edge audio and communication hardware are only part of the Charger story; the really good stuff resides under the skin, with a sport-tuned suspension and a choice of three powerful engines, two of them HEMI V8s. 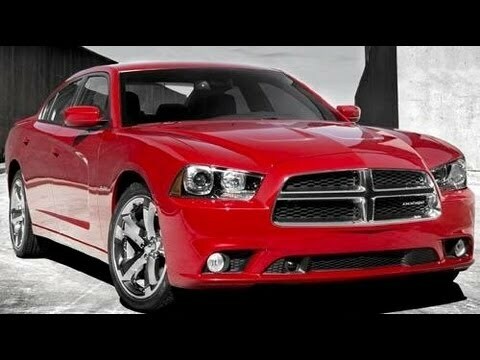 2013 Dodge charger: reliable and affordable. This Dodge charger is very spacious and beats any car I have been in as far as being comfortable. This car is reliable and runs great. This car occasionally has a few problems but what car does not? I love the features my car has. It has heated seats for when it is cold outside, and the passenger side has access to their own vent so they can change the temperature for them without making changes for the drivers temperature. This car also has a touch screen and satellite radio ready inside of it. The backseat is spacious for backseat riders and it has good legroom for both the backseat as well as the passenger. This car is all around reliable, in terms of getting you from point A to point B and to being the go to car for comfortability. I love my Dodge Charger car. I have had this vehicle for over 5 years. . . I've been the only owner. . . Got it fresh of the lot. . . I have never encountered any problems with this vehicle so far. . . I love driving it everywhere! I never get tired of my car! My car is as good as it was the first day I bought it. . . There were several recalls on this vehicle but good s new! I recommend to anyone and everyone on their purchase of a Dodge Charger! You won't be disappointed! I love my Dodge Charger and you will love yours too! It is very dependable and not hard to keep up the maintenance nor expensive to do so. We use it for everyday use and traveling and have found it to be great on gas and love the speed. Not a loud vehicle sometimes you can't hear it running I love that. Starting to experience some problem with the ac making a strange noise but I'm sure it will be fine once we get it checked out and fixed. Chrysler will notify owners, and dealers will inspect and replace the transmissions, as necessary, free of charge. The recall is to begin in January 2014. Customers may contact Chrysler at 1-800-853-1403. Chrysler's recall number is N65. Chrysler will notify owners, and dealers will provide owners with wheel chocks, free of charge. Parts are not currently available. Owners will be sent an interim notification in April 2016. A second letter will be mailed when the tire chocks are available. Owners may contact Chrysler customer service at 1-800-853-1403. Chrysler's number for this recall is S03. Chrysler will notify owners, and dealers will update the Occupant Restraint Control module calibration, free of charge. The manufacturer has not yet provided a notification schedule. Owners may contact Chrysler customer service at 1-800-853-1403. Chrysler's number for this recall is R35.